As of this post, all art sent! Check your whispers! Had a good stream today with a good handful of drawing and lots of gratitudes. Forgot to do a unlocked giveaway yesterday so did it an hour into todays stream. 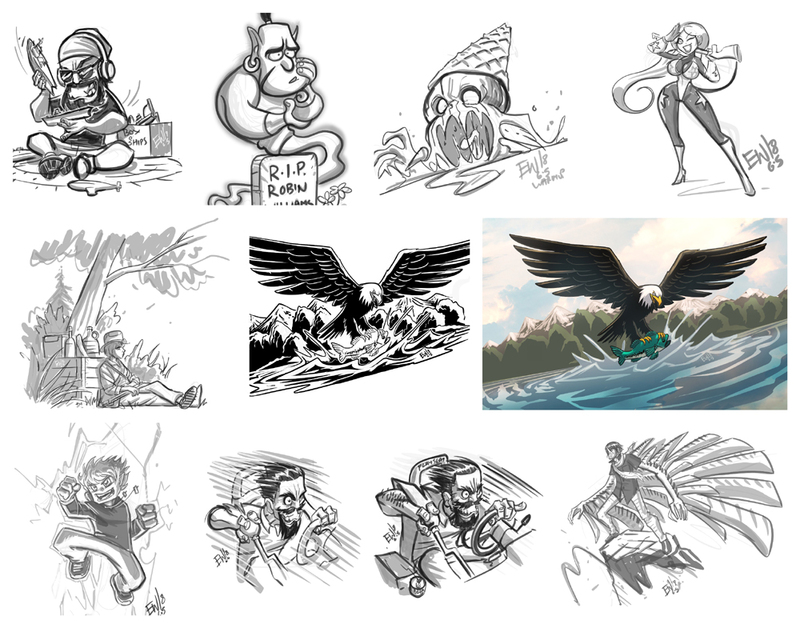 Time flew by and lots o' drawing was had. I think its too easy sometimes to lose the context of what folks mean or how they mean what they say in chat. I've been guilty of taking comments the wrong way on occasion, and yesterday and today I did that. I have learned it is better to just be be less opinionated, less sensitive and more oblivious to negative or unrelated chatter. 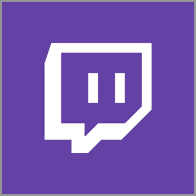 Something I may think is about me or the stream may not even be. Better to focus on the folks talking about things relative to the stream, the chatters simply enjoying the free entertainment and especially the current person I'm drawing for. The current request being drawn is usually 90% of my focus. I rarely see other folks chatting cause im looking for changes/ comments from the current requester more than anything. Got upgrade of the eagle fishing in the river done today off stream as well as the RIP Robin WIlliams genie chibi from backlog. Rest was done during Drawing Request Show today. 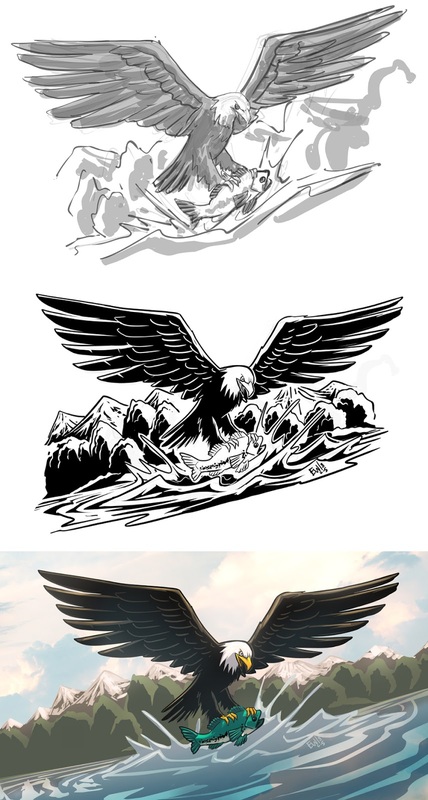 I thought it would be fun to show a step by step comparison of the fishing eagle process. Starting with the original Drawing Request, and then the upgraded inks, and the upgrade colors.